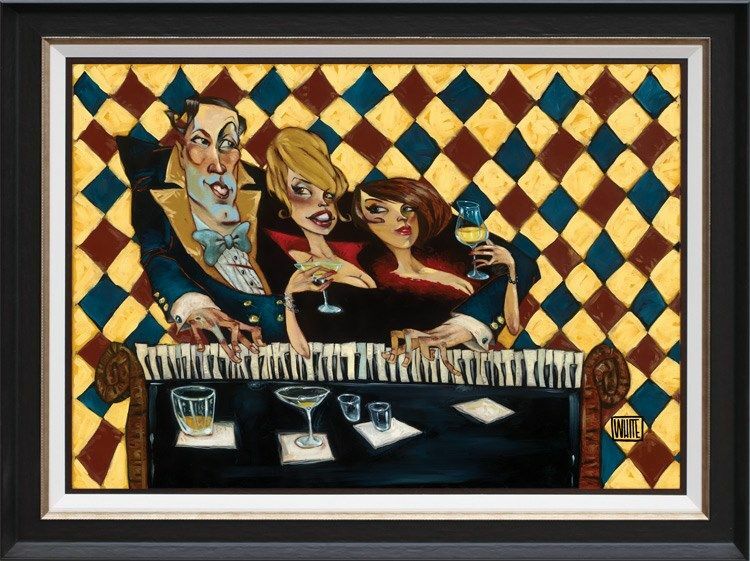 Who's Glamouring Who - framed by Todd White // £1,308.00. With exaggerative elongated fingers tapping away a merry tune at the piano, and his female companions enjoying the prospect of being close to the gentleman, White displays the dynamic and intimacy of this relationship and makes us question the connection between the three figures. Creating scenes of diverse attraction, White portrays the creative spirit he possesses within this Limited Edition and requires the viewer to take a second look in order to understand the provocative piece a little better. This is White at his absolute best and is a real asset to his newly released series.